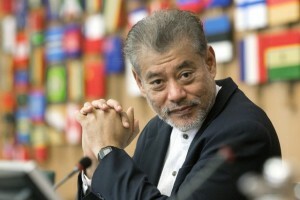 Jomo Kwame Sundaram was an Assistant Secretary General working on Economic Development in the United Nations system from 2005 to 2015, and received the 2007 Wassily Leontief Prize for Advancing the Frontiers of Economic Thought. KUALA LUMPUR, Malaysia, Feb 16 2016 (IPS) - 2015 proved challenging for multilateralism, especially in relation to development concerns. July’s Addis Ababa third Financing for Development (FfD) conference delivered little real progress. Nevertheless, the September Sustainable Development Goals summit redeemed hopes with an ambitious and universal Agenda 2030. More recently, the Paris climate change Conference of Parties produced an agreement after the 2009 failure at Copenhagen. However, while most developing countries made commitments in line with climate justice criteria, most OECD economies not only fell short, typically after failing to meet their commitments made under the earlier Kyoto Protocol. Even if fully realized, the Paris deal alone is not enough to avert climate change disaster as average global temperatures will still rise over two degrees celsius above pre-industrial levels. The mid-December 2015 World Trade Organization (WTO) biennial ministerial meeting in Nairobi was another setback as the US and its allies sought to kill the Doha Round of trade negotiations, thrusting the WTO itself into existential crisis. Ending the round inconclusively will enable them to renege on commitments made in 2001 to get developing countries back to the negotiating table after the Seattle ministerial disaster. The US and many other OECD countries have been increasingly unwilling to make any meaningful concessions in multilateral economic negotiations over the last decade. One big game changer has been recent US-led plurilateral initiatives, following Michael Froman’s appointment as US Trade Representative. To make his case to kill the Doha Round, Froman cited the Trans-Pacific Partnership (TPP) Agreement, concluded in October 2015. Meanwhile, the European Union has begun negotiations with the US for a Transatlantic Trade and Investment Partnership (TTIP). Not surprisingly, most developing countries want the Round to continue, hoping to finally realize the 2001 promises to rectify the previous Uruguay Round outcomes, which have undermined food security and development prospects. By undermining WTO multilateral trade negotiations, bilateral and plurilateral trade agreements are the very antitheses of what they purport to do, namely advance trade liberalisation. In Southeast Asia, the TPP also undermines existing commitments, e.g. to the ASEAN Free Trade Area, and thus, the economic bases for regional solidarity and cooperation. To come into effect, the TPP must first be ratified at the national level. This seems most unlikely to happen soon in the US Congress for varied reasons. TPP criticisms have been growing among US politicians, not only from all the Democrat presidential contenders, but also some leading Republican aspirants. The TPP has more support from Republicans than Democrats, but the Republican leaders of both houses have pledged to block it for the time being. Ironically, a Democrat President has pushed the TPP without strong support from his own party. After touting the TPP as his top foreign policy priority for 2016, it only merited half a minute in President Obama’s hour-long final State of the Union address in mid-January. Despite being portrayed as a trade deal, the TPP is not mainly about “free trade”. The USA and many of its TPP partners are among the most open economies in the world. The main trade constraints involve non-tariff barriers, such as ballooning US agricultural subsidies for example, which the TPP does not address. OECD countries with more competent trade negotiating capacity had delayed agreement at an earlier meeting in Honolulu in mid-2015 before the October Atlanta deal. The delay was due to squabbling over how to manage trade in particular areas, reflecting influential lobbies. Thus, in fact, the TPP will actually protect and even advance interests that run contrary to free trade. The TPP will strengthen monopolistic intellectual property rights (IPRs), well beyond the onerous provisions of the WTO Trade-Related Intellectual Property Rights agreement, especially for big pharmaceutical, media, information technology and other companies, for example, enabling ‘big pharma’ to have longer monopolies on patented medicines, keep cheaper generics off the market, and block the development and availability of ‘similar’ new medicines. Meanwhile, growing evidence shows that IPRs hardly promote research, but may actually impede or delay innovation. TPPA provisions will also limit competition, raise consumer prices, constrain prudential financial regulation as well as threaten public health and the common good. The TPPA will also strengthen foreign investor rights at the expense of local businesses and the public interest. Its investor-state dispute settlement (ISDS) system obliges governments to compensate foreign investors for the loss of expected profits! ISDS confers foreign investors with the right to sue national governments for regulatory or policy changes that ostensibly reduce the expected profitability of their investments. It has been and can be invoked even when rules are nondiscriminatory, or profits come from causing public harm. ISDS provisions make it hard for governments to fulfill their basic obligations – to protect their citizens’ health and safety, to safeguard the environment and to ensure economic stability. For example, if a government banned toxic chemicals, it would have to compensate suppliers for lost profits, instead of requiring them to compensate the victims! Thus, the taxpayer will be hit twice – first, to pay for the health and environmental damage caused, and then to compensate the manufacturer for ‘lost profits’ due to the ban. This will deter governments from doing the right thing, putting the public at risk. Foreign corporations insist that ISDS is necessary where the rule of law and credible courts are lacking, but in fact, the US is seeking the same in the TTIP with the EU, impugning the integrity of European legal and judicial systems. It is no secret that the main US motive for the TPP has been to undermine China: in President Obama’s words, “With TPP, China does not set the rules in that region, we do”. The broad support for the China-mooted Asian Infrastructure Investment Bank even from traditional US allies, was a major embarrassment which the White House was desperate to overcome. In Southeast Asia, such a realignment undermines the ASEAN commitment to a ‘zone of peace, freedom and neutrality’. Considering the paltry economic benefits as well as great risks involved, joining developing country governments are mainly doing so for political reasons while praying that they themselves will not pay high political costs for its consequences. Concluding the TPP will encourage other plurilateral and bilateral agreements. While such arrangements undermine trade multilateralism, WTO officials and others continue to maintain the pretence of complementarity and coherence. The threat to abandon the Doha Round will be used by the North to extract more concessions from the South who still insists that the Round is necessary to realize at least some of their developmental and food security aspirations. The fading prospects for economic multilateralism – on finance at Addis and on trade in Nairobi – as well as various other recent developments – including the many, typically self-serving political realignments in the ‘war on terror’ – threaten to irreversibly transform contemporary international relations, at the expense of sustainable development and the developing countries.